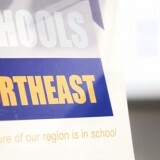 Chris Zarraga, Schools North East Director of Operations, said: “Schools North East would welcome a wider debate following this report around school exclusions and disadvantaged children in the North East. Is your school poverty proof? Are schools facing the music? Must an employer make reasonable adjustments for a non-disabled employee associated with a disabled person? How important is Business Continuity in Schools?